The Bloomingdale restaurant has been the target of social media outrage since the owner of a Lexington, Virginia, eatery asked the president's press secretary to leave Friday night. 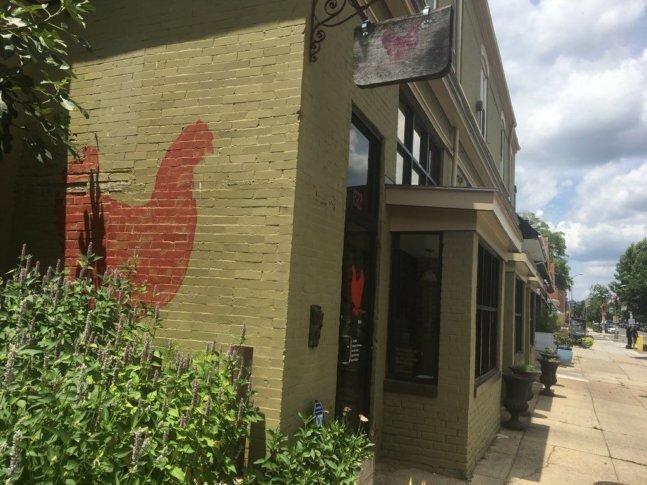 WASHINGTON — Michael Friedman wants you to know something: His Red Hen restaurant, located in D.C.’s Bloomingdale neighborhood, is unaffiliated with the Red Hen in Lexington, Virginia. And D.C.’s Red Hen, he said, is open to all. It’s a message the owner has been trying to get out since Saturday, when White House Press Secretary Sarah Huckabee Sanders tweeted that she and her party were asked to leave the Lexington eatery the night before because she works for President Donald Trump. Unfortunately, Friedman’s eatery — along with similarly named restaurants in New Jersey and Connecticut — have been the target of social media outrage ever since. Thousands of tweets and such aimed at Friedman’s place have ranged from merely critical to outright threatening. “We’ve received death threats,” Friedman said. Unflattering online reviews have been coming in as well: “One out of five stars for no reason,” he said. At one point Monday, the eatery’s Yelp profile had been hacked to read that it only serves Democrats. There has even been some old-school vandalism, Friedman said: The restaurant got egged, “which is, um, ironic — ’cause The Hen got egged,” he joked. Since Friedman’s workdays got somewhat more complicated Saturday morning, he’s issued a statement and has been posting repeatedly on social media that his Red Hen leaves politics at the door. He’s also tried to maintain humility and a sense of humor while making sure staffers are safe. He’s not changing the name of his restaurant either, so don’t ask. “The name’s too good,” he said.